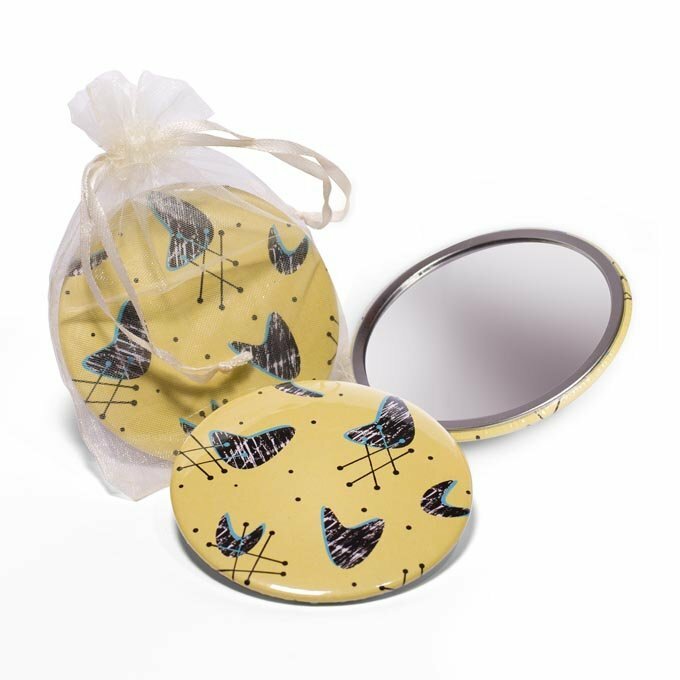 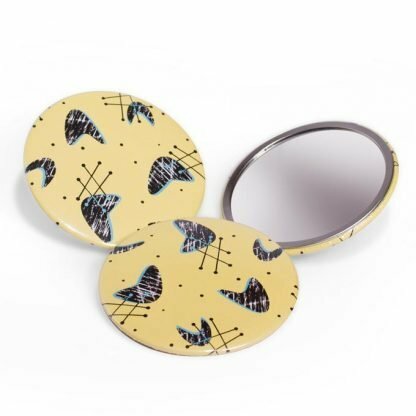 Yellow 1950’s Retro Pocket Mirror With A Black and Turquoise Atomic Design. Supplied in an ivory organza drawstring bag. 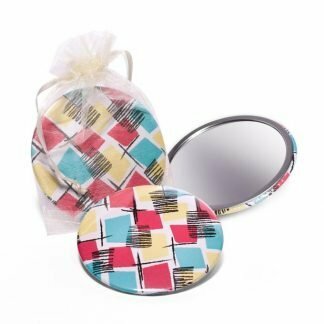 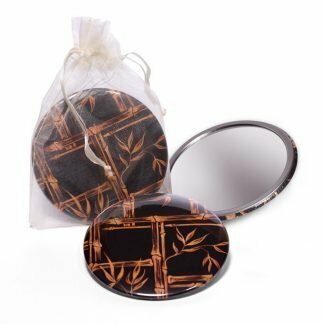 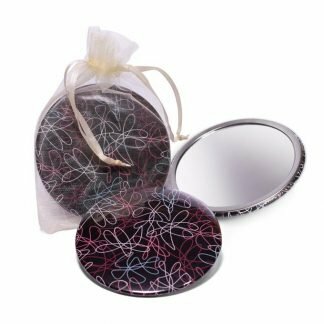 These handy mirrors make the perfect gift, especially when teamed with a matching Atomic Blonde bag.